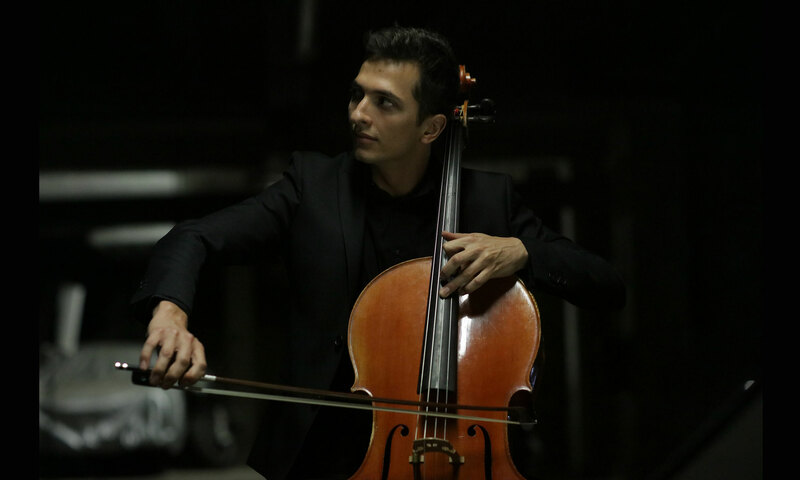 At only 24 years old, French cellist Aurélien Pascal already commands international attention for his ‘unparalleled virtuosity and musical intuition.’ The Strad. Laureate of several prestigious international competitions, including 2nd Prize of at the 2013 International Paulo Competition and the Grand Prix, Prix du Public and the Best performance of the Toch concerto at the 2014 Emanuel Feuermann Competition, he was recently Fourth prizewinner and the youngest finalist in the 2017 Queen Elisabeth Competition. Prior to this, he was the Adami Révélation Classique in 2013. Aurélien performs with orchestras throughout Europe including the Moscow Tchaikovsky Symphony, Deutsche Radio Philharmonie Saarbrucken, Nuremberg Symphony, Kammerakademie Potsdam, Tapiola Sinfonietta, Orchestre National des Pays de la Loire, Monte Carlo Philharmonic and Barcelona Symphony Orchestra with conductors such as Vladimir Fedoseyev, John Storgårds, Pascal Rophé, Christoph Poppen, Clemens Schuldt and Augustin Dumay. A regular visitor to Asia, he has been invited by the Hiroshima Symphony, Kansai and Sendai Philharmonic orchestras and the Hong Kong Sinfonietta, with which he has performed several times both in Hong Kong and on their European tour in 2017. He recently made his debuts with the Taipei Symphony Orchestra and Gilbert Varga, the Transilvania State Filharmonic Orchestra with Andrei Feher, with the Zurich Chamber Orchestra and with the Hangzhou Philharmonic Orchestra and Okko Kamu. Highlights of the 2018/19 season include performances at the Konzerthaus Berlin alongside Andras Schiff, at the BOZAR in Brussels, the Beethovenhaus in Baonn and at the Cellofest in Finland. He will also return to the Mecklenburg-Vorpommern Festival to give several concerts and give his first solo recital at the Salle Gaveau in Paris. In concerto he performs with the Cologne Chamber Orchestra, the Orchestre national de Metz, Orchestre de Bretagne and the Orchestre de Douai-Hauts de France. As a recitalist, Aurélien performs at the most prestigious festivals such as Verbier, Colmar, Prades, Schloss Elmau, the Flâneries de Reims, La Folle Journée de Nantes et du Japon, Festival de Radio-France Montpellier, Beethovenfest de Bonn and the Rencontres musicales d’Evian with partners including the Modigliani Quartet, Pavel Kolesnikov, Christian Tetzlaff, Augustin Dumay, András Schiff, Eric Le Sage, Paloma Kouider and Emmanuel Pahud and forms a regular string trio with Adrien La Marca and Liya Petrova. Since being awarded the ‘Audience Prize’ at the Mecklenburg-Vorpommern Festival in 2015, he has been a regular invitee to the festival and also performs on stages including the Berlin Konzerthaus, Amsterdam Muziekgebouw, the Auditoriums of the Musée du Louvre and Musée d’Orsay as well as Salle Gaveau, the Théâtre de la Ville in Paris and the ARK NOVA/Lucerne Festival mobile concert hall in Japan. In 2015, Aurélien Pascal was accepted into the Sponsorship Programme of the Orpheum Foundation for the Advancement of Young Soloists and following his performance of Shostakovich concerto no. 1 at the Zurich Tonhalle together with the Moscow Tchaikovsky Symphony Orchestra and Vladimir Fedoseyev was invited to record the Danzi concerto for the SONY label alongside Howard Griffiths and the Munich Chamber Orchestra. This recording, released in January 2018, will be the latest addition to a discography that includes the Ravel Trio, with Denis Pascal and Svetlin Roussev and the Brahms Sextet with Augustin Dumay, Henri Demarquette, Miguel da Silva. Born in 1994 into a family of musicians, Aurélien Pascal studied at the CNSMDP with Philippe Müller and attended master classes given by the legendary János Starker in Paris, Basel and Bloomington. He is currently a student of Frans Helmerson and Gary Hoffman at the Kronberg Academy in Germany. He plays a French cello made in 1850 by Charles-Adolphe Gand.